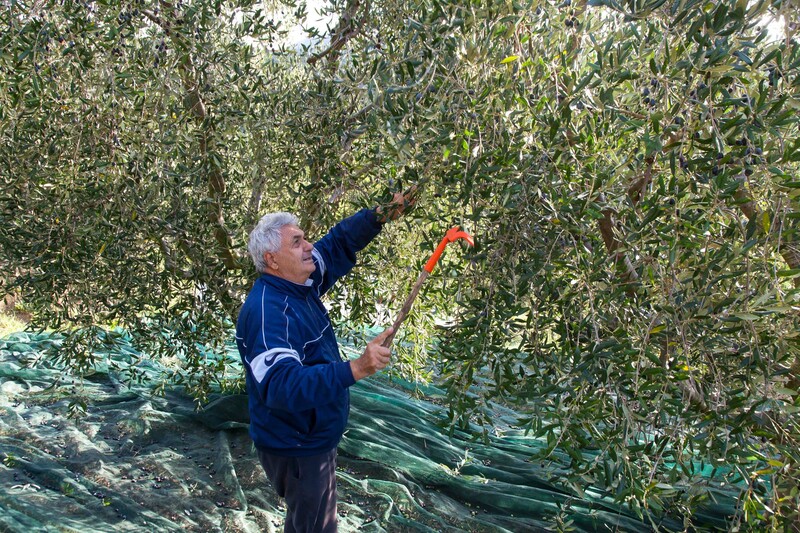 «The gentle slopes of Elba are adorned with olive trees that are so characteristic of Tuscany, of which the island is a part» says Fabrizio Galletti, the maker of Elba olive oil, “Olio Evo PGI” and continues: «Some olive groves overlook the sea, others are on more protected and secluded terrain inland; however, as the island is small, the influence of the sea, which imparts distinctive flavour and fragrance to Elba extra virgin olive oil, is ubiquitous. The typically Tuscan Leccino, Frantoio, Moraiolo and Pendolino cultivars are those mainly used for the production of oil from Consortium of Protection registered olive groves. In November, when the olives reach an optimal degree of ripeness, the traditional harvest begins. 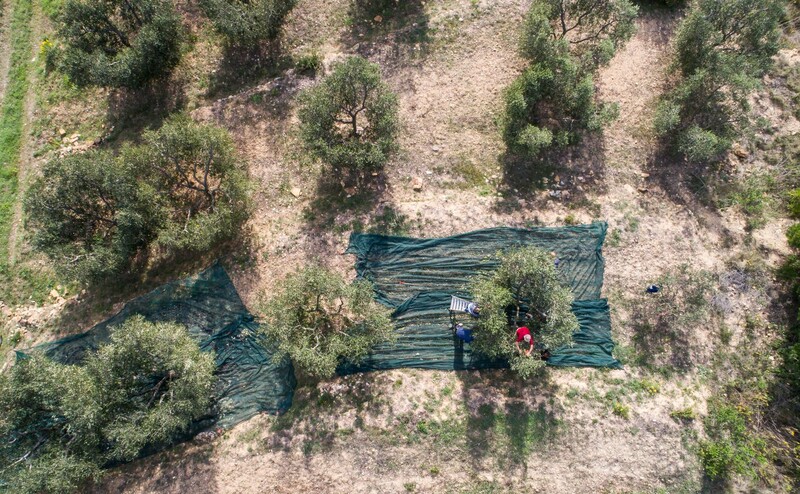 Families and friends, the keen and the inquisitive co-operate, using baskets, sheets and a lot of hard work, in the meticulous picking and selecting of time-honoured harvesting methods, which are faithfully implemented in most olive groves. 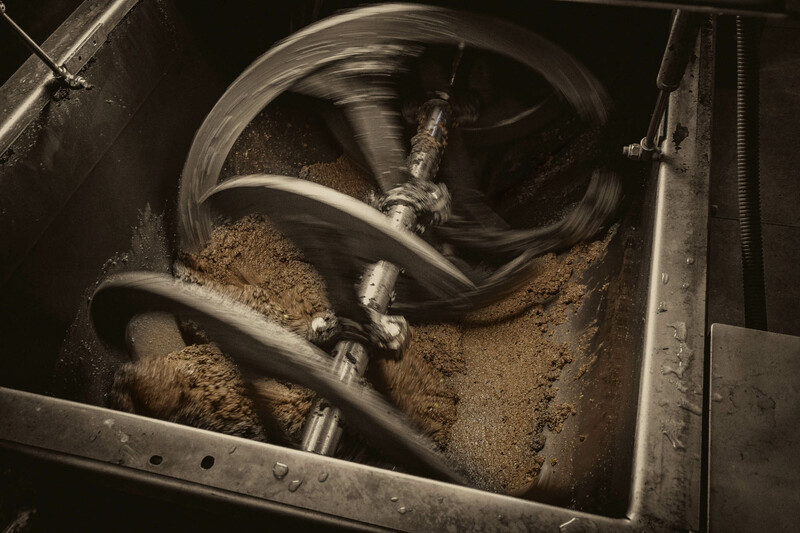 Once full, the sheets are folded and taken to the press, where the olives are washed, cleaned, crushed and the oil is finally extracted. The result is cold pressed extra virgin olive oil with an intense and very fruity flavour; the colour varies from green to golden and the nose has strong references to artichoke and almond and in general to ripe fruit. The IGP Toscano brand on bottles of Elba olive oil is a seal of quality; it is issued by the Tuscany Olive Oil Consortium after numerous checks, research and chemical and organoleptic analysis, thus ensuring compliance with European Union requirements for recognition of Protected Geographical Indication. In addition to the Tuscany Consortium brand, Elba Olive Oil PGI bears a progressive numerical code enabling the product to be traced and identifying its origin, capacity and control body». PGI Olive Oil Production, Elba. 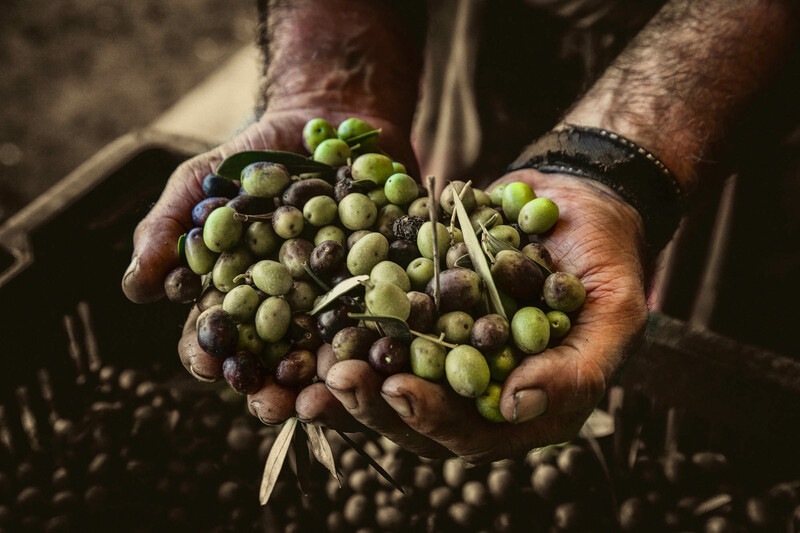 You can contact the olive oil producers on Elba and ask to participate in the November olive harvest, a tiring but fun experience when you can mix and make new friends. 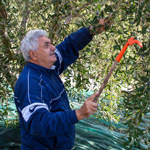 Most of Elba’s olive oil producers have a website; you can contact them to find out whether they welcome outside hands. Harvest time is captivating and, together with people from different backgrounds, taking part in the olive picking is a lot of fun. Treat yourself to a walk through the age-old olive groves of Elba, such as those in the very heart of the island, where you can discover the very picturesque Buraccio olive grove lying on the gentle slopes of this small corner of Tuscany. Our thanks to Fabrizio Galletti, owner of the Agriturismo Le Due Palme, for enlightening us about the production of Tuscan Olive Oil PGI.